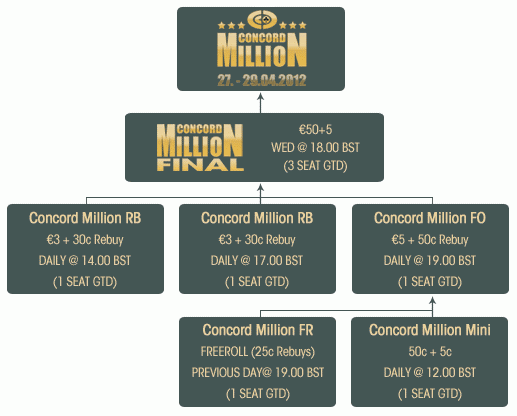 Paradise Poker is sending their players to the Concord Million tournament set to begin on April 27th. The €550 buy-in event will carry a massive €1 million guaranteed prizepool and you can win a seat for free. You can satellite your way to the event in Austria, Solvakia or the Czech Republic for free. Work your way up the ladder to the €55 finals on March 28th, April 4th and April 11th. Each of the final will award at least three €1,200 prize packages.